The children of Grade 3 presented the special assembly on Friday 30th Nov 2018, to celebrate the various festivals and celebrations in the month of November. 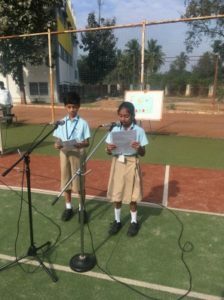 The program began with an introduction and welcome speech by the anchors Zayaan and Krushika. The programme started with the importance of Kannada Rajyotsva. The children went on to talk about eminent personalities of Karnataka who with their various achievements and laurels have made Karnataka proud. This was followed by a Kannada Song by few students. Next was a presentation on the importance of Id Milad. The students spoke on why Id Milad is celebrated and the significance of the festival. 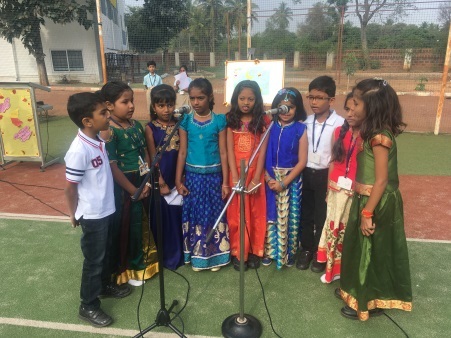 Then a wonderful Hindi skit was presented on the festival of Deepawali. 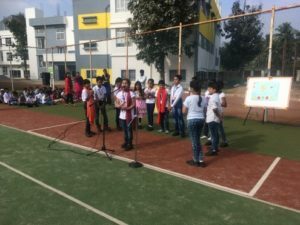 The students showed how to be environmentally friendly during Diwali as these days fire crackers are a reason for air and sound pollution across the country. 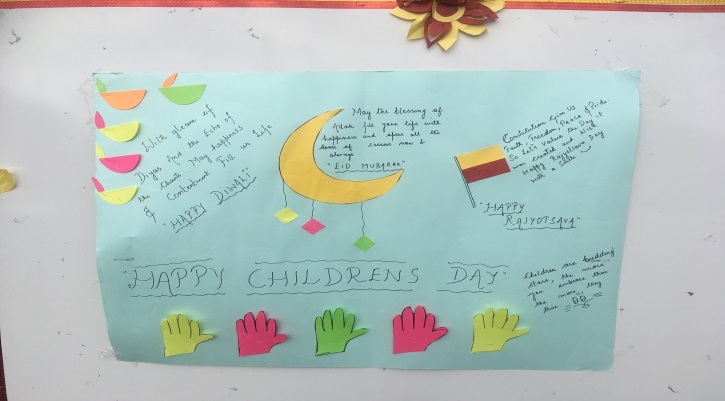 They made us realize that though we all love to celebrate this festival at the same time there are pros and cons associated with it and how we as responsible individuals can make a difference so that the coming generations can still celebrate the festival with the same fervor. 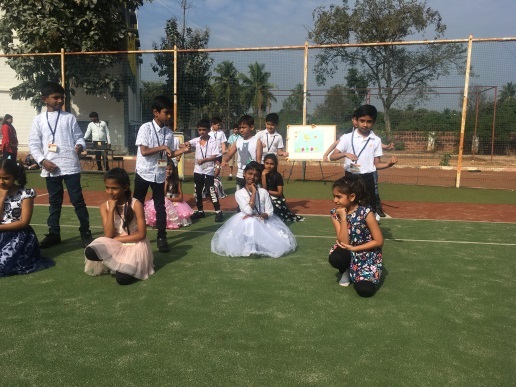 Lastly a wonderful dance was performed on the occasion of Children’s day which was enjoyed by the audience. 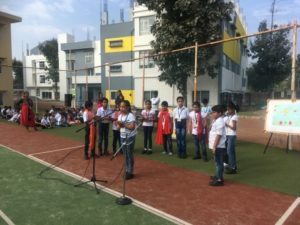 The special assembly ended with Ayush of 3D speaking on the theme of the month Thinker incorporated with the theme of the year Tarrash and the State Anthem.